Fin24 reported on Thursday evening that Mkhwebane ordered Gordhan to submit an affidavit in relation to the establishment of the so-called South African Revenue Service (Sars) 'rogue unit'. Gordhan's spokesperson, Adrian Lackay, told Fin24 on Thursday afternoon that the subpoena amounted to an "abuse of office" by Mkhwebane. [The] same set of allegations have been investigated repeatedly by various institutions – including the office of the Public Protector in 2014 – and no conclusive evidence could be found of any illegality by Sars or Minister Gordhan," said Lackay. On Friday Mkhwebane's office said the probe was legitimate. 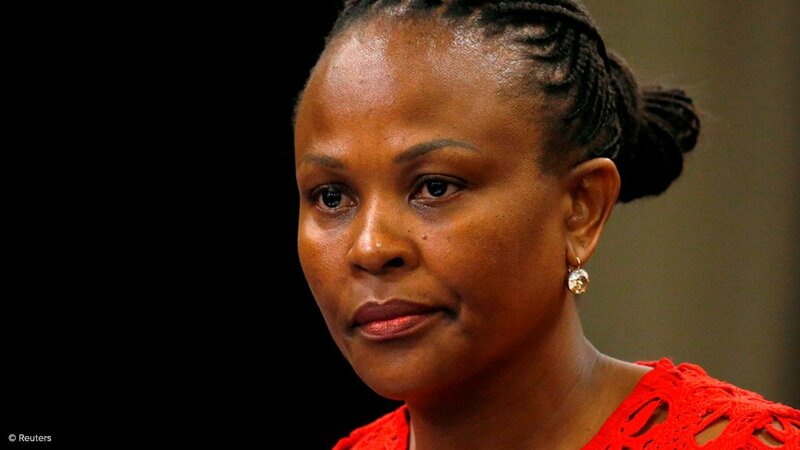 "[The Public Protector] has, in the past, subpoenaed and interviewed numerous Ministers, Members of Executive Councils and Premiers as part of investigations. Not once did any of these public office-bearers take issue with this, label it 'harassment' or see it as a source of irritation," she said.